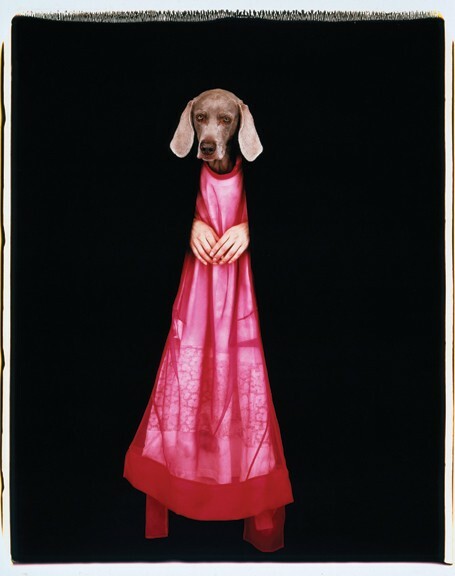 Still, Wegman’s work expands beyond these iconic dogs—although quite often they are seen in his videos and photographs (minus their human apparel). His videos star his monotone voice, creating comedic scenes through his recognized deadpan delivery. “Polaroid,” featuring 12 of Wegman’s photographs, along with photographs by John Dugdale, Mark Beard, Tanya Marcuse, Jeri Eisenberg, and Melinda McDaniel, will be on display through May 30 at Carrie Haddad Photographs in Hudson. www.carriehaddadphotographs.com.